The most-advanced show scripts in the world! 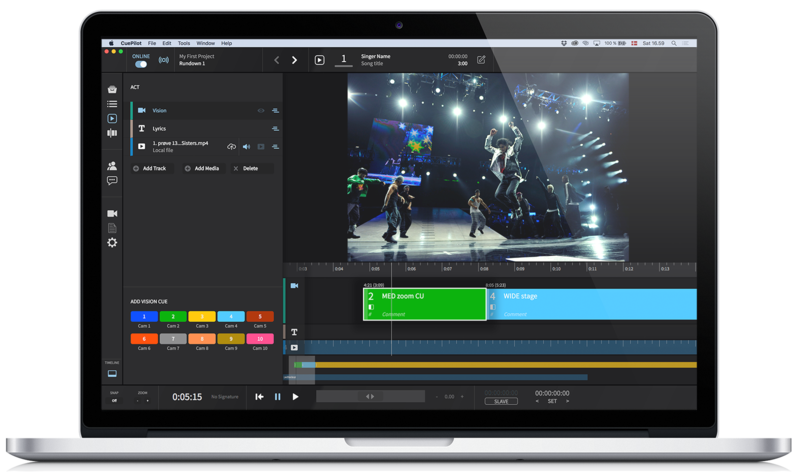 Dramatify offers a unique, collaborative script tool for multi-camera live and studio shows, developed together with live-tv show directors, production co-ordinators and script writers. It is one of our three different script formats. Today, most live and studio shows handcraft scripts in spreadsheets – a tool made for numbers, not scripts. Existing digital script tools on the market have so far been made for either drama or news, not entertainment, galas or talkshows. With Dramatify’s new script tool for multi-camera shows, producers can save time, resources and a lot of frustration. fast, due to smart functionality and drag’n’drop interface. collaborative, decide exactly who should be able to read or write. multi-homed, works on any device with a modern web browser; computers, tablets and smart phones. 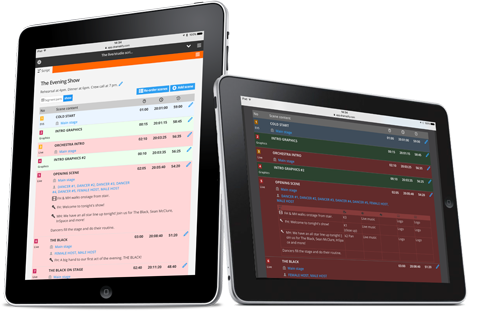 integrated, with all of Dramatify’s other features: team management, messaging, characters & cast, sets & locations, scene items (including props, wardrobe, set dressing and even security), scheduling, call sheets and reports. eco-friendly, all of the team can use Dramatify on their favourite device, and there is no need to print information to distribute it. You can now upload and integrate shot lists from CuePilot to Dramatify for an integrated production flow. CuePilot is the dedicated software for live TV shows and events. In pre-production you can test and plan visionmixer edits, as well as cues for performers and stage staff, allowing you to produce TV shows as tight and up-beat as if they were music videos. Super-easy to work with - no more cut & paste from spreadsheets! Different views for talent & writers and technical staff!